Jarrod Roach, DVM has been practicing in the area for almost 10 years. He is the founding doctor/owner of 405 Vet. He started his hospital in order to improve and maximize the client/patient experience. 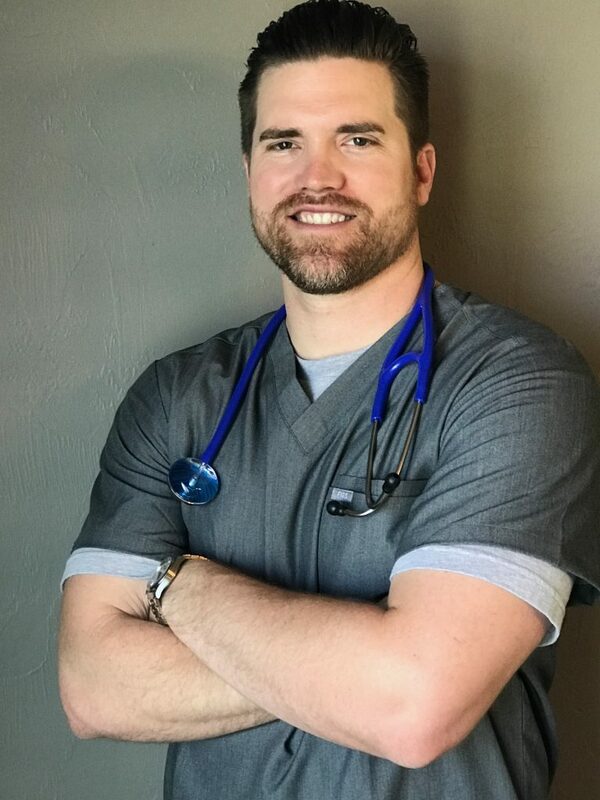 Originally from Watonga, Oklahoma, Dr. Roach attended the University of Tulsa before graduating from Oklahoma State University College of Veterinary Medicine in 2008. 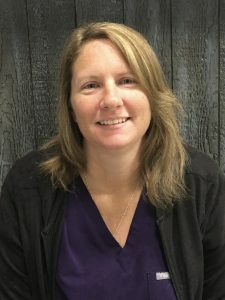 Dr. Roach enjoys practicing small animal medicine and surgery. His favorite aspect of veterinary practice is developing close relationships and building trust with his clients and patients. Dr. Roach lives in Piedmont with his wife, Magan, and two children, Gavin and Lyndie. Dr. Jen is a native of Southern California where she grew up in a family that raised horses. So naturally when she graduated from UC Davis School of Veterinary Medicine in 2005, her concentration was in equine medicine. 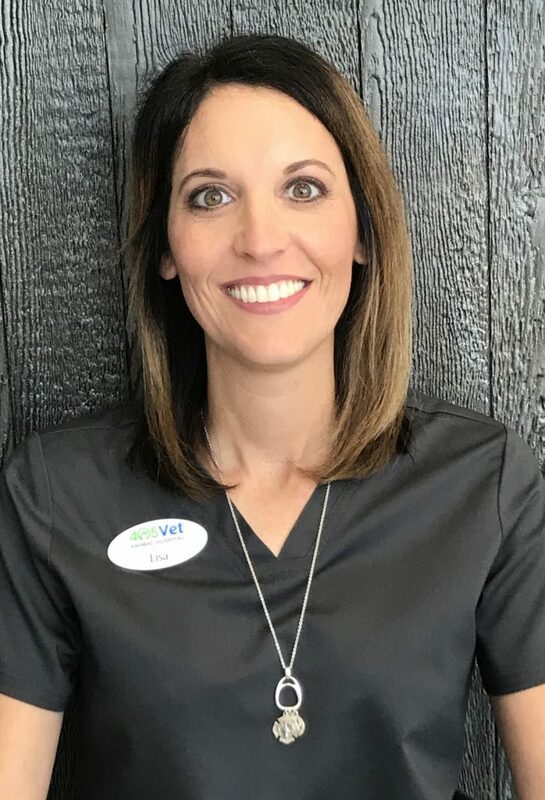 After marrying an Oklahoma native, she moved to Oklahoma and transitioned to small animal medicine. 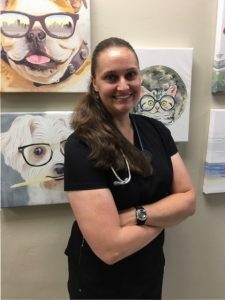 She feels her calling is Internal Medicine, where she has the opportunity to truly help sick animals and their owners. She believes in taking extra time with clients to ensure all their needs are met. Jen and her husband, Brian, have a dog, Edie, and two cats, Tillie and Loki. Jane came out of retirement to help start up 405 Vet Clinic. You could say she started it all as she is Dr. Roach’s mom. She also fills the role of Business Manager at 405. 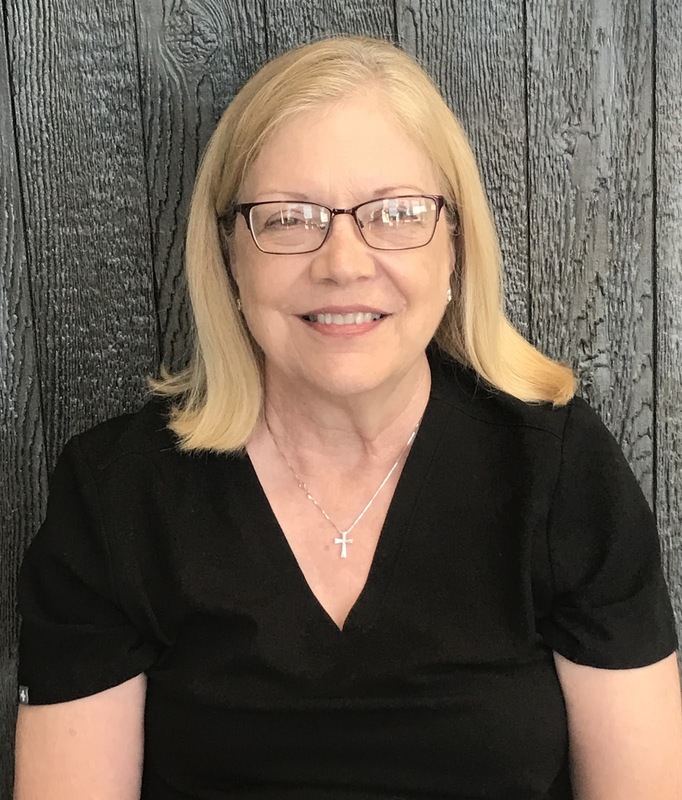 When not at 405 Vet Jane enjoys spending time with her 3 kids and 8 (plus one one the way) grandkids. 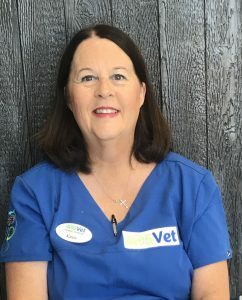 Jamie had been working with Dr. Roach since 2010 as a veterinarian technician. 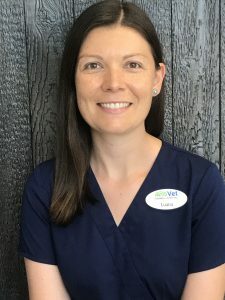 Dr. Roach and Jamie make an amazing team to help provide the best care for your pet. All of our 405 pets are her favorite, but she has a special place in her heart for our older dogs. Jamie is married with three boys and four dogs. She loves sitting outside for relaxation. 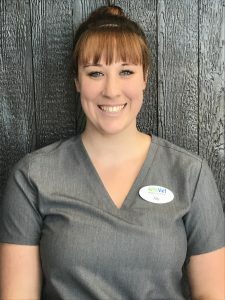 Jesse has been with Dr. Roach for 10 years. Jesse graduated from UCO with a Biology Degree. Jesse’s passion for animals shows on a daily basis in the love and care she provides. Jesse has a big heart for the felines of our clinic. When she’s not brushing her dogs’ teeth, or playing with her cat, she loves a good Marvel movie. 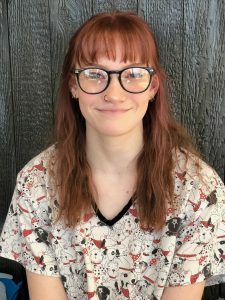 Megan joined the 405 team in March, 2018. 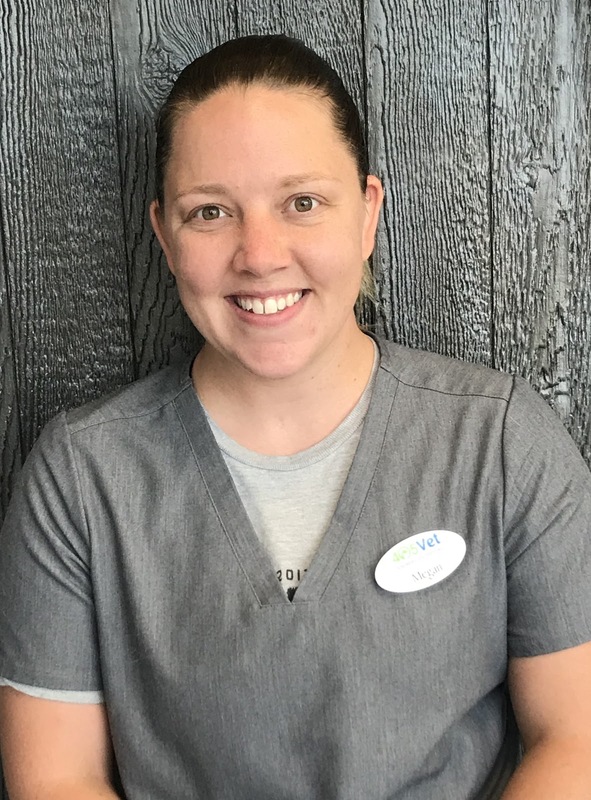 Megan has 2+ years experience as veterinarian assistant. Her abilities show as she makes wonderful relationships with our clients and their owners. Megan is married with a three year old son, Wyatt. They live on a farm, and in her free time enjoys singing. Luana comes to us with a background in human and animal chiropractic. Luana was born and raised in Brazil, and has been in the US for eight years. Luana’s calming nature adds so much to our team. She is married, has two cats and a horse. She loves to ride after a busy day. When she’s not at the clinic or riding, Luana loves to cook, travel, and attend concerts. Katlyn is currently a student at UCO. She is majoring in Biology with aspirations of attending Veterinarian school. She helps 405 Vet with taking care of our boarding and hospitalized dogs. Katlyn also helps to keep 405 clean. In her free time Katlyn enjoys going to concerts, vacations and visiting new places in Oklahoma City. 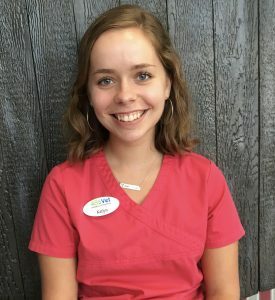 Ally, originally from Wisconsin, joined the 405 team after shadowing at the clinic for several months. Ally enjoys volleyball, listening to music and the outdoors. She has two dogs, Skids and Brody. 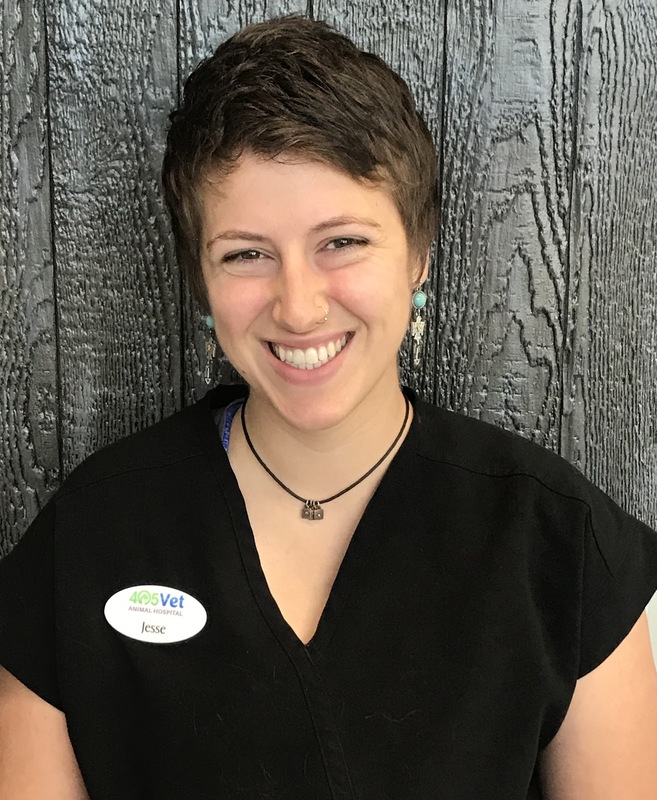 Tori has worked with animals in a rescue/veterinary setting since high school. She only has a cat, a hamster, and a fish presently but who knows what the future holds!! Laura has been a member of the 405 family since July 2017. 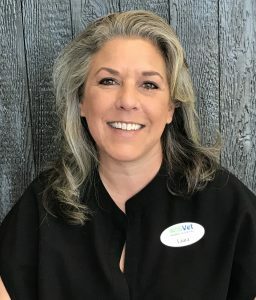 Laura has many roles at our clinic, from ordering your favorite dog food, to booking your pets’ appointments. Laura loves to travel and spend time with her children. She has a very loved and pampered fur baby named Sugar Bare. After seven years in education, Lisa is excited to join the 405 team. Lisa has a rescue dog named Maggie. She would take all of them if she could, so she does her best to share the stories of those that need a forever home. Lisa enjoys spending time with her husband and two boys when not at 405.